? 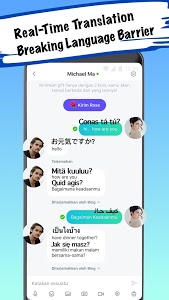 ?Meet me in Mico, one of the most popular worldwide social app where you can match random chat with strangers, broadcast and watch live streaming enjoyed by more than 10,000,000+ users daily.
? ?Tons of camgirls and bloggers waiting for you come and have fun. Mico provides free and interesting live shows including hot dancing, amazing singing, online games, food & tours recommendation from bloggers and broadcasters around world are available for 7*24 ?. Want to make more friends? Want to meet new strangers? Now match feature give you the experience of swiping left or right to pick a 100%match. Match strangers accurately and fast. Once you match someone, chat with strangers using texts, voice, video messages. Mico live stream are classified by the countries, choose different places to broadcast or watch live shows, meet more people. Want to show yourself? Mico is not only a social app, but also a big stage for everyone, show your talent, win fans and follows, prepare to be next star. Want to meet more friends at same? Join a group live. 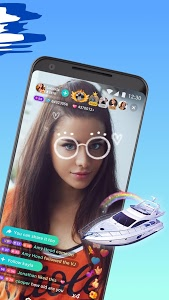 You can invite at most 8 people to join your group video chat, meet more strangers in group video chat, make friends with beautiful girls and handsome men, enjoy the fun in group video chat. Come and build up your own multi-guest chat room. Want to make friends with people from a different country? The feature “Let’s travel” will show you the world, make you meet more friends from random countries. Meet your new friend by watching the photos and pictures they are sharing.Use the filter to find people you want to meet and chat, enjoy chatting. In Mico you will have an opportunity to randomly match & meet strangers worldwide. If you are afraid of chatting with anyone from other countries, don’t worry about it. You won't miss any chance to randomly chat with strangers because of the language barrier anymore. 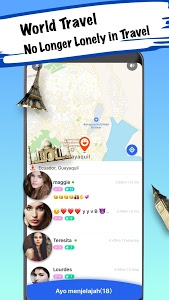 The Real-time translation feature assist you in chatting with worldwide strangers & never be afraid to match or meet strangers from different countries.
? 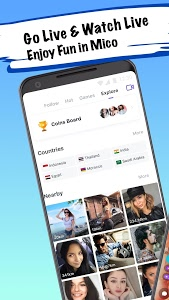 ?Meet an excellent experience of meeting & matching random video chat with strangers and blogger worldwide with real-time translation in Mico.
? ?Mico is the best social network to live stream and meet friends. Go live and random chat with strangers and watch live streaming. 1. When many people are in the guest call, you can use magic tricks to bother the others! 2. In the broadcast page now you can see the buttons for guest call and PK! Similar to "Mico Chat:Match Stranger, Random Video Chat&Live"